Among softener components are benzyl acetate , benzyl alcohol and chloroform. To top it off, many of them are petroleum based, which takes a toll on a non-renewable resource and is not very bio-degradable. Homemade fabric softener and dryer sheets contain only what you choose to put in them – that’s part of the beauty of making your own cleaners. Commercial dryer sheets coat your clothing with a thin film of artificial chemical perfumes. Sensitivity to these chemical perfumes decreases over time, but when you stop using them your senses return to normal and you won’t believe how noticeable and repulsive the artificial fragrance chemicals are. Your clothes will take a few wash cycles to lose the coating from commercial detergents and softeners, but the sooner you get started the sooner your family will be free from harsh chemicals and perfumes. The simplest of all the results is a single-ingredient “recipe,” and it’s one word I know very well: vinegar. 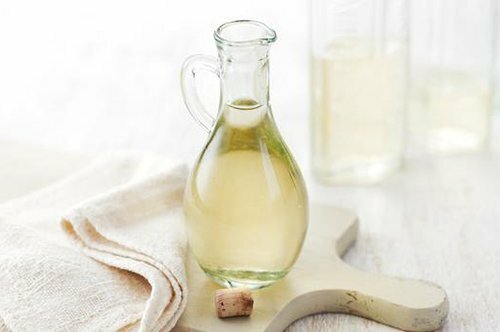 Vinegar is cheap and nontoxic, effective and antimicrobial. It naturally softens and as a bonus, it helps to remove soap residue. Finally, vinegar aids in static reduction during drying. Just add it to the rinse cycle and you’re good to go. Homemade fabric softener doesn’t get much easier than that! Aside from being a natural softener, it also removes soap residue in the washing machine and reduces static in the dryer. Vinegar can be used as a homemade fabric softener with or without adding different components. 1. Fabric softener made only from vinegar. Just add one or two glasses of white vinegar to the washing machine during rinse cycle. Vinegar does not only make your clothes softer, it can also break and dissolve minerals in water. Remember that vinegar cannot be used with very tender fabrics, as they become rather fragile. 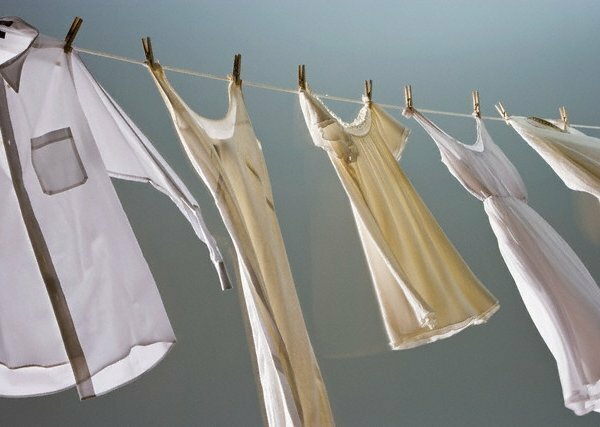 Some people reported about appearing holes and yellow spots on clothes after constant using of such homemade fabric softener. 2. Homemade fabric softener made from vinegar and essential oils. Essential oils in this recipe play role of scent giver, all the work is made by vinegar. You can take any kind of essential oil you want. However, be careful if you or your family members have allergy or other reactions to essential oils. All you have to do is to mix one gallon (about three and a half liters) of purified white vinegar with twenty five or thirty drops of essential oil. How to use it? Related: How to get rid of bad stains on clothes without the dry cleaners? If you have a fabric softener ball, fill it with about sixty ml of the mixture or just add the same volume of softener to your washing machine right before or during its rinse cycle. The quantities of the softener are presented for normal load of the washing machine. Do not add this homemade softener before the primal wash cycle. Remember to store the fabric softener in proper place in the marked bottle. Do not use it for other purposes. You need to shake tis mixed homemade fabric softener every time before you are going to use it. 3. Vinegar and baking soda as a homemade fabric softener. You have to prepare: six cups of vinegar, one cup of baking soda and fifteen drops of essential oil (optional). Pour the vinegar into a large bowl. Add your essential oil, if using. Add your baking soda. When fizz has settled, pour into storage container of choice. Use up to one cup (depending on load size) per load. I poured mine right into the regular fabric softener location. Prior to adding the baking soda, the oil sits on top of the vinegar. After pouring in the baking soda and letting it dissolve, the oil no longer sits at the top. The vinegar will react with the baking soda, causing a fizzy chemical reaction. Do not pour the vinegar too quickly or you will end up with a mess. 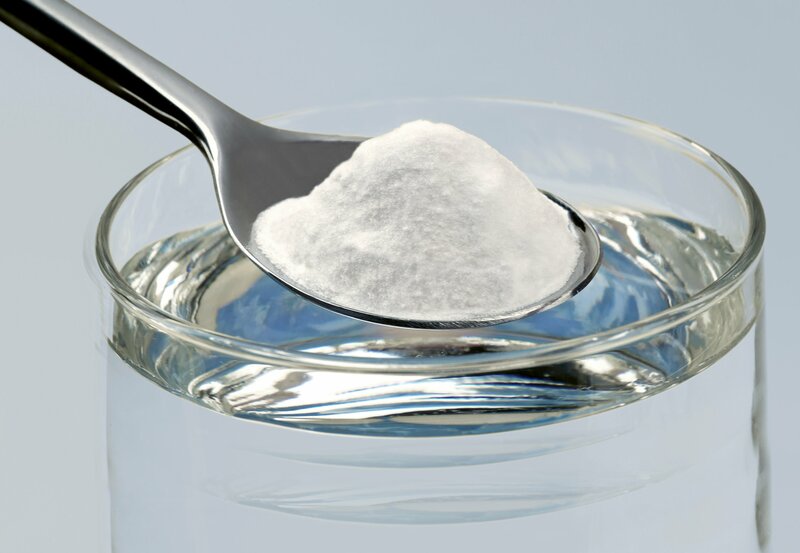 Some believe that the vinegar and baking soda cancel each other out, making them ineffective. The salt that is produced from the chemical reaction acts as a buffer in the rinse cycle, however. Moreover, many of the elements that help soften clothes remain in the solution even after the reaction occurs. 4. Homemade fabric softener made from vinegar and hair conditioner. This concoction seems to garner rave reviews, and if you use a super cheap conditioner, it’s very cost effective. However, there’s nothing natural about store bought conditioner. In a large bucket or other container, stir together three cups (seven hundred and a half ml) white distilled vinegar, two cups (five hundred ml) hair conditioner, and six cups (one thousand and a half ml) hot water until evenly combined. You can use any hair conditioner you want for this method. To make it more cost effective, choose a cheap brand. Since there are many varieties and scents of conditioner available on the market, your scent options are nearly endless. Note that this is not an “all natural” solution, but it is quite effective. The vinegar strips away stiffening residue and the conditioner softens fibers. For a normal load, fill a fabric softener ball with quarter of a cup to a half of a cup (60 ml to 125 ml) of the fabric softener solution or add the same amount directly to the washer just before the rinse cycle begins. Related: Products removing stains and pet odors. Do not add the fabric softener to the machine before its primary wash cycle. Pour the rest of the fabric softener into a storage container. Shake or stir well to combine before each use. 5. Fabric softener made of vinegar cotton sheets. Cut clean cotton cloth into squares that are roughly five inches (12.7 cm) along each side. Cotton works well because it is a natural fiber and relatively breathable. Avoid fabrics with fibers that are spaced too tightly together. Also avoid synthetic fabrics. You can use a rag or old piece of cloth for this, but make sure that the material you use is clean. Fill a small spray bottle with undiluted distilled white vinegar. Spray both sides of each square until moist to the touch. Let dry slightly. The cloth can be moist, but it should not be dripping wet by the time you add it to the dryer. The vinegar is the only element in this fabric softener formula that lends itself to actually softening your clothes. It may not be as strong as a liquid fabric softener using vinegar, but some of the effects should still remain. Drop three to five drops of your favorite essential oil onto a cloth square. Spread the drops out so that they seep into the fibers of the entire square. Easy to make, low-cost, and totally customizable, these “crystals” will leave your laundry soft and smelling lovely. The baking soda added in will naturally make whites whiter, and pull out even the toughest stains. Being an alkaline substance (opposite of acidic) it can neutralize the acid in stains that come from various cleaners, urine, or vomit. It is also environmentally friendly and perfect for people who have sensitive skin. To top it off, it won’t harm fragile fabrics, and it is a brilliant odor remover in the sense that it actually gets rid of smells…it doesn’t mask them with perfumey scents like other fabric softeners do. a container with a tightly fitting lid and a marker. 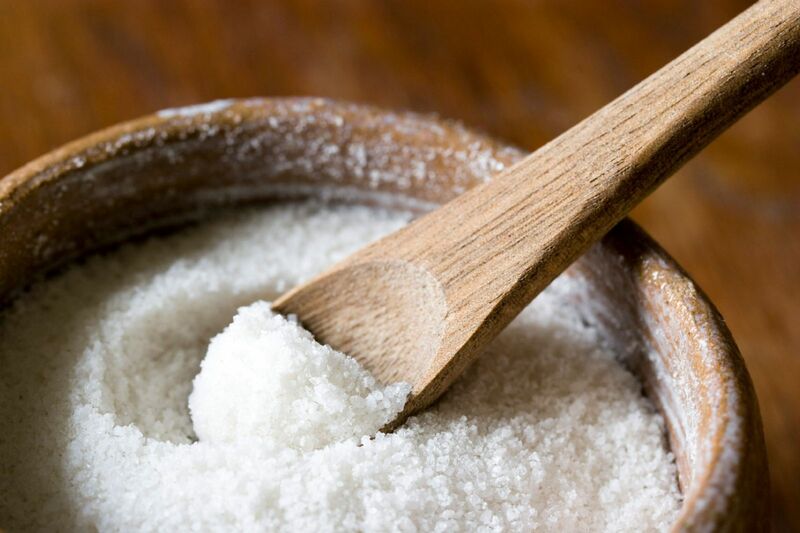 Mix together two cups of Epsom salt or course sea salt and add from twenty to thirty drops of your favorite essential oil-we used lemon for its bright, refreshing scent. After mixing together pour into a container with a tightly fitting lid and label it if you plan on making more with different scents. Use two or three tablespoons and toss in with your clothes before rinsing. If using the baking soda separately, add half a cup to each load. If you did not add baking soda to the crystals, you can add up to a half of a cup (125 ml) of baking soda in conjunction with this fabric softener per normal load of laundry. Do not add the fabric softener crystals to the start of the washing cycle, before the washing part actually takes place. Only add it to the washing machine during the rinse cycle. You can double this recipe if you’d like, and adjust the amount of essential oil if you want it to smell stronger or weaker. Remember to check your family for the reaction to Epsom salts or other ingredients. Air dry. Kind of a pain, especially when you don’t have a yard. Avoid synthetic fabrics. These are the ones that cause static. Dryer Balls. Dryer balls are supposed to make clothing, however somebody complains that they leave holes in clothes, so they are not supposed for tender fabrics. Spray some vinegar onto the wet clothes before you start the dryer. Here we will show you how to make cheap and easy dispenser bottles that make adding the softener to your washing machines a simple, no-mess cinch! If you’re only going to try one of the recipes, just make one bottle. Empty out the water bottles (if not already empty) and remove the labels, keeping them intact. Next, use your measuring cup to add water either a quarter of a cup or a half of a cup at a time, putting a mark at the water line each time until the bottle is full. If you have a standard washing machine, you’ll need a half of a cup of softener per load, so do halves of cup increments and if you have an HE washing machine (high efficiency) you’ll need to do quarters cup increments. If doing two bottles, use the first bottle to mark the second. Then you have to make labels. Use the old label as a pattern to cut the new ones in either a thin wood veneer like mine, or a fun paper. On a cutting mat, use a ruler and sharp knife to cut out one or two labels. Then use your thin permanent marker to write on the labels.